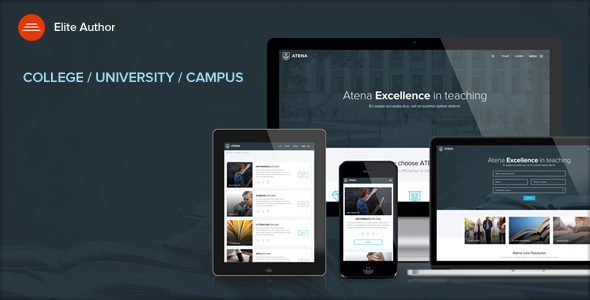 Atena is an WordPress theme, suitable for College, University, Campus and schools. We built this theme on Visual Composer, a very convenient drag-n-drop PageBuilder for WordPress. It should provide you with the smoothest experience while creating your website with our theme. The wordpress theme is responsive, you can view it also in the mobile/tablets devices and it looks very in more devices. One Click Demo Importer With demo data importer, you’ll be set up and ready to customize your site in minutes. Compatible with WPML, Visual Composer 4.11.2.1, Bootstrap 3.x. ATENA has been tested with browsers IE9, IE10, IE11, Firefox, Safari, Opera, Chrome.